There has always been a debate between Linux and Windows users about which platform is better. Linux, being an open source platform, promises better support apart from the fact that it is free while Windows users would argue about the user friendliness and the number of applications supported by it. Let’s have a look at both platforms so that we can decide which platform will suit our needs and requirements best. Linux has always been the main competitor for Windows Servers simply because of the great community support that it has maintained over the years. Popular distros like Ubuntu, OpenSuse, Fedora and Debian are all available for free and are updated regularly by a community of Linux enthusiasts. Any bugs reported is fixed within a few days due to the large number of programmers around the world that contributes to the Linux code base. Commercial Linux distributions like Red Hat Enterprise Linux offer free upgrades for a certain amount of time as well as optional technical support on their purchase; this makes them a good choice for small firms with a limited budget. If your work environment requires a lot of flexibility in the applications that you are using, then Linux is your ideal choice. Most Linux software source codes are available for free allowing them to be customized to meet the requirements of your business without any legal issues involved. You can create your own patches to fix bugs in your network without relying on third party vendors. Security updates and patches are faster with Linux, as the community works on patches and gets them out as soon as possible. With Windows, you have to rely on Microsoft alone, which can leave the security hole open for months. When it comes to cost, Linux would definitely overthrow Windows simply because of the comparatively lesser cost in setting up and maintaining a Linux server. Many companies offer huge discounts on Linux based devices because there are no licensing fees involved in the operating system or in majority of the software that run on Linux. A quick Google search can help you find HP coupons that could give you discounts of up to 10% on HP hardware that runs on Linux. The discounts are not only limited to HP though. Other vendors also offer big discounts on Linux based services such as web hosting. Probably one of the disadvantages of Linux is the fact that it lacks a single platform and customers would often be confused about the different platforms available for them to use. Also, there are a lot of issues with the upgrade cycle on most of the Linux distros since a new one rolls out every few months. Microsoft has always been a front runner in the software business and will perhaps remain in that position for the foreseeable future due to a number of reasons. Microsoft has developed a lot of frameworks and applications to suit its customers’ needs and requirements over the years. The classic ASP or ASP.NET, MS Access, Microsoft SQL Server, C# and Silverlight are all available only on the Windows platform. So if your work requires you to use these platforms, then you have no choice but to go for a license. These platforms are more user-friendly and skilled professionals in the aforementioned platforms above are easier to find compared to Linux-based platforms. Thus, this is definitely one area where Windows edges over Linux. Although you can get similar discounts for Microsoft based servers, due cost of the operating system it may still be more expensive than Linux based servers. Microsoft users will be happy to know that the software that can be used on the Window-based platforms are much easier to use. Many tasks on Linux systems require a very high level of knowledge about the terminal while most of the work on Windows can be done at the touch of a button. Both Linux and Windows based-servers have their own positive and negative aspects. The main thing that one should consider while choosing a server should be the budget and the scale of the business along with the software platform. These two platforms will continue to compete with each other in the software market for many years as they both evolve with time. Hence, if you are worried about cost and are very comfortable with a command line interface, then Linux is for you. However, if your main issue is user friendliness and platform-specific software applications, then you can’t do wrong with Windows. 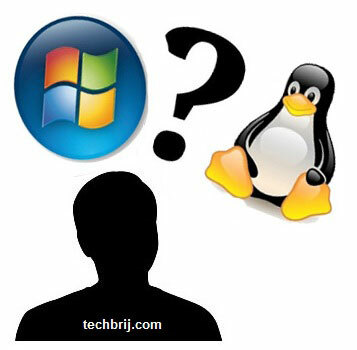 Do Share your opinion, suggestion or experience about windows or Linux hosting? Glee Cunningham has worked with servers and other IT technologies for over 15 years. If you would like to write for us, please read guidelines here.